Every Tuesday and Thursday InstaParking gives you a round-up of news that matters for Airport Parking operators and patrons. In Tuesday's InstaParking News post, we covered Airport Parking Loyalty Programs. In the post, we included InstaPerks as an example of a very simple off-line parking loyalty solution. The lead story covered the Airport Parking Loyalty program being implemented at Dayton International Airport, which definitely had an online component. 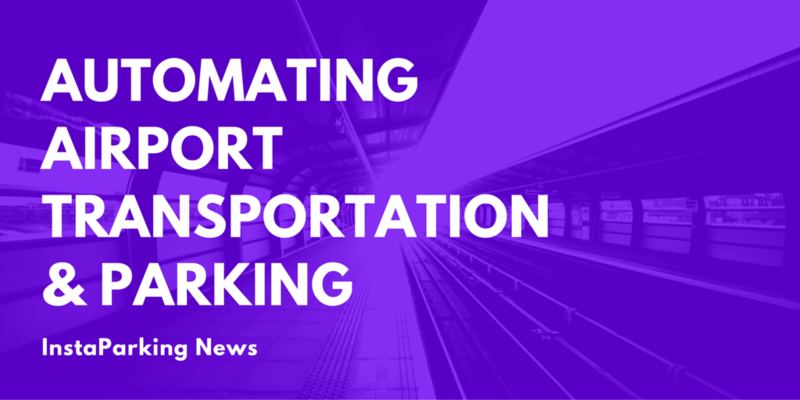 Today's lead story covers the advances being made by ADVAM for automating airport transportation and parking. ADVAM's solution includes airport parking loyalty programs, but it is just one small component. In their solution, ADVAM is addressing pain points beyond parking including automating airport transportation and staff parking. We feel the key component to their solution is ticketless parking. The parker manages their own account and once registered can enter, park and exit at will. For the parker. there is no more waiting in line to make a manual payment. For parking operators, staff leveling becomes easier and they gain valuable insight into their customers parking usage. See the complete Automating Airport Transportation post on InstaParking.com.